Our local housemartins are busy. You can see them swooping up under eaves and into small corners to build their nests. It’s just amazing how they can get a grip on what looks like a sheer wall to me! Here’s a time-lapse video of the birds coming in to select their sites. This house overlooking the Vrboska channel looks to be a desirable location – any why not? It’s very handy for collecting building materials! 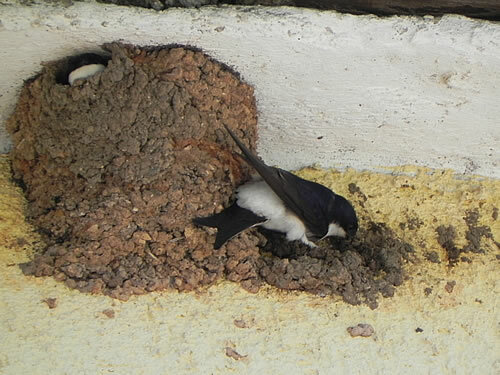 House martin nests – one already occupied and one in progress! The nests are built up by sticking gobfuls of mud to the wall – in the photo above, one wee chap is busy with his foundations, while his neighbour is already finished, and sitting inside. And where do they get the mud? 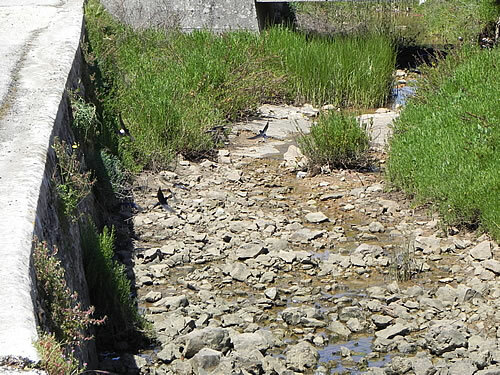 Well, one easy source turns out to be the top end of the Vrboska channel, the top part that looks like a stream. 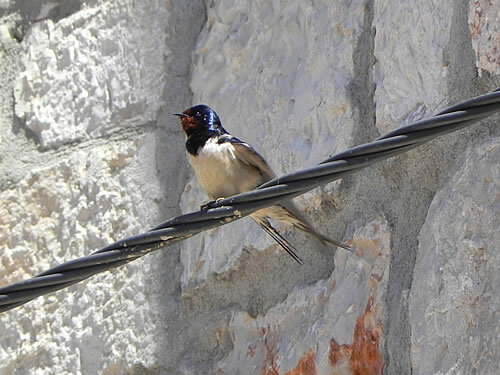 We saw both house martins and swallows in there picking up building supplies. 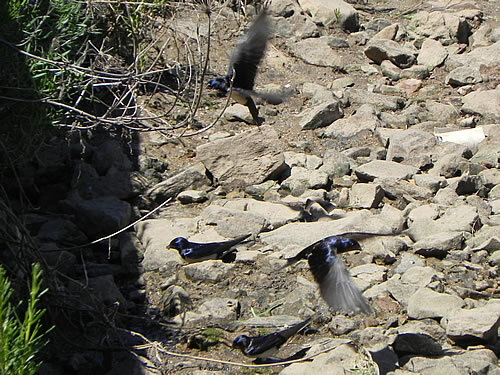 Of course, by the evening, they’re all swooping around after insects and it’s much harder to tell who’s who. 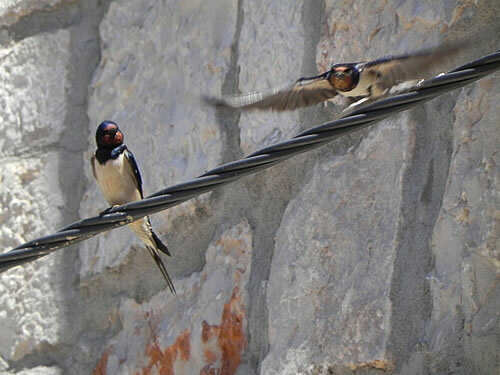 Lucky us – we have nesting swallows!